There's nothing more frustrating than trying on a pair of jeans, committing to them by dropping cash, and then getting home and feeling disappointed by your decision. It sometimes seems as though the denim actually morphs between the time you leave the store and the time you get home—either that, or your body changed dramatically. Well, we want to make sure we do what we can to erase this experience completely from your life, and we enlisted Banana Republic creative director Marissa Webb to help. Below, she shares her tips for making sure you always find the right jeans for your body —whether you're curvy, slim, tall, or petite. Keep scrolling to learn from her wisdom! Denim with stretch seems to work for a majority of body types, but you should try on many different brands to see what works best for you. And don't forget to look at the rise—that's often the key to comfort. If you are concerned about extra weight in the middle, try a higher rise. If you're concerned with your backside, larger pockets can conceal what you don't want to show. The right flare can help give length and elongate the legs, especially if you are petite with curves. If you're on the petite side, there are many great cropped options out there. But denim is also easy to alter, so don't limit yourself because of your height. Something to keep in mind when getting your jeans hemmed is to find a tailor who knows how to properly hem denim. Usually the best solution is to cut off the original hem and to reapply it, so you keep the authentic denim stitch and thread. If you want to hide some of your not-so-favourite curves, try a straight leg, which helps to balance out your curves. Explore and try on as many different fits as you have time for. Often, it's the fit you think won’t work for you that you end up falling in love with. 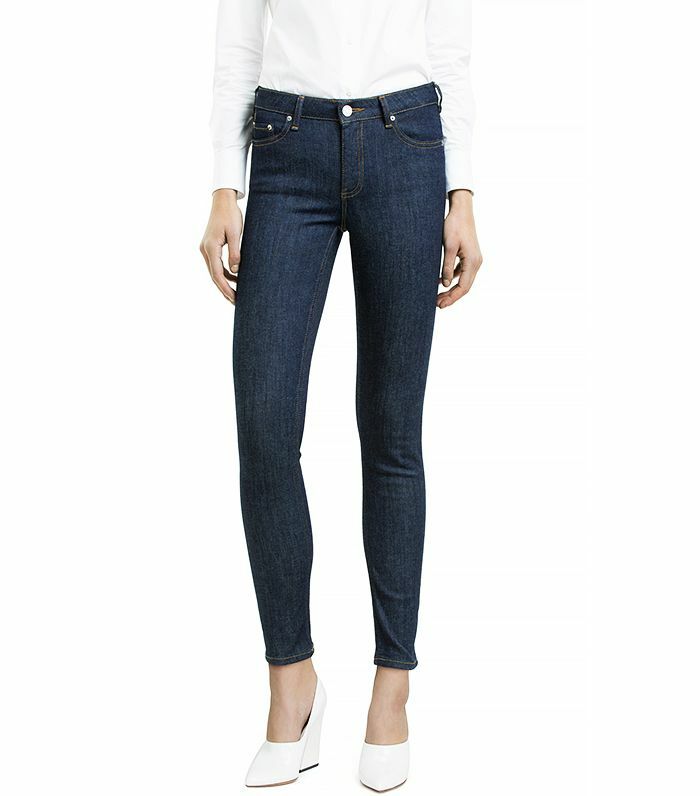 What do you think of Marissa Webb's tips for finding the perfect jeans for you? Sound off in the comments below!